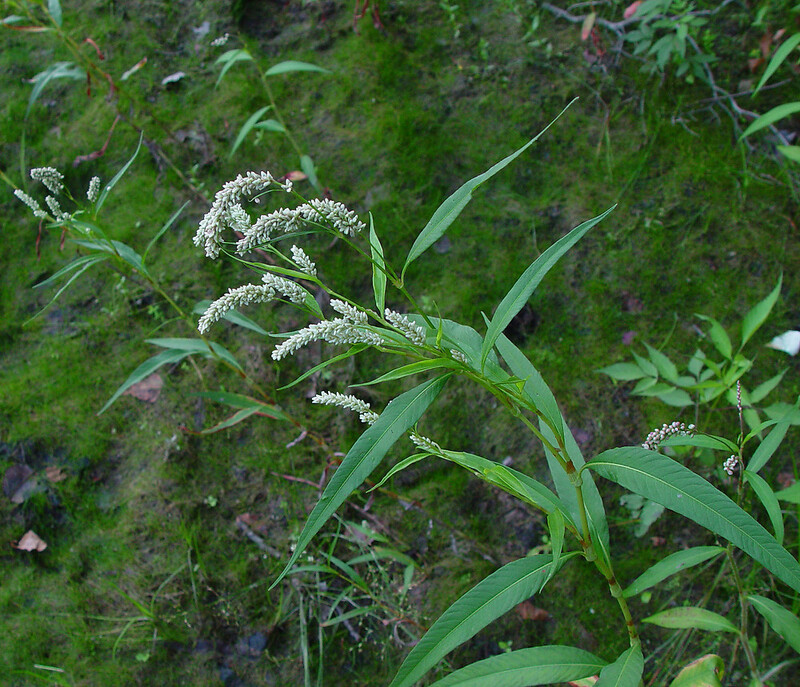 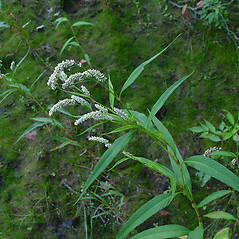 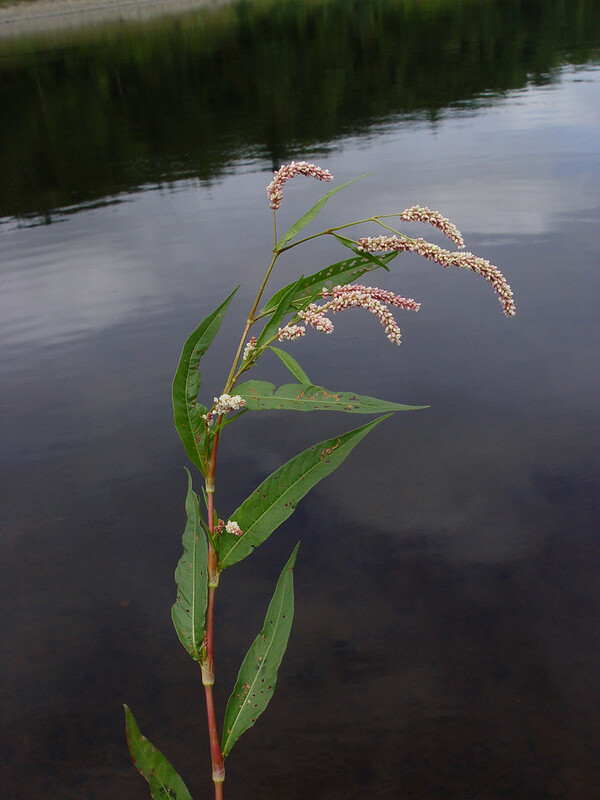 Dock-leaved smartweed is a widespread annual that is native to North America and Eurasia. 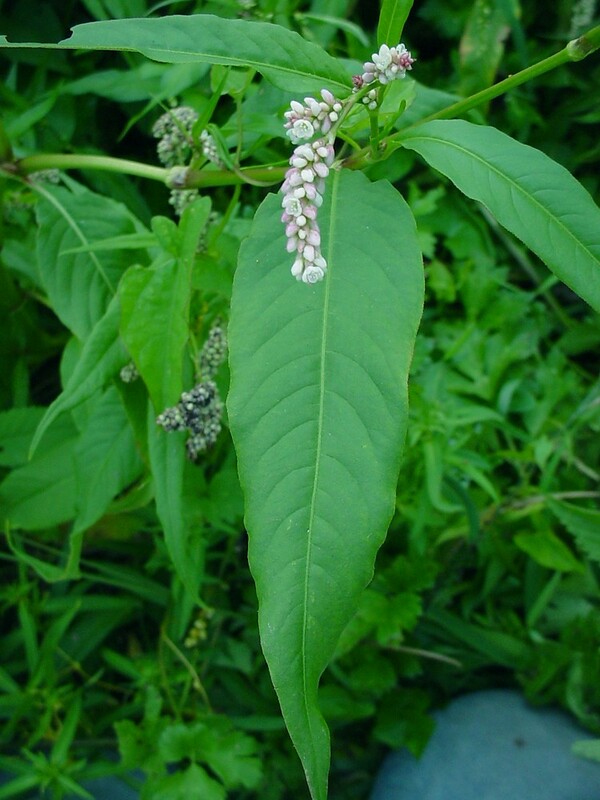 It has been used in traditional medicine by the Apache, Keres, Navajo, Potawatomi, and Zuni. 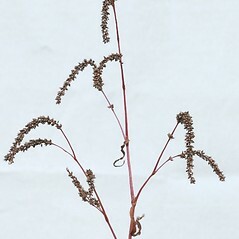 summit of tubular stipule with a fringe of long bristles and flower usually with 5 petal-like parts (vs. P. lapathifolia, summit of tubular stipule without a fringe of long bristles and flower with usually 4 petal-like parts). 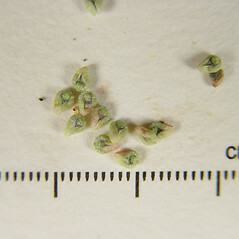 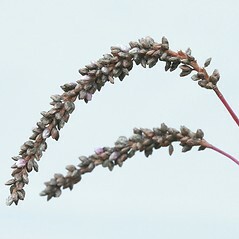 petal-like parts of flower spotted with numerous, small glands and summit of tubular stipule with a fringe of long bristles (vs. P. lapathifolia, with petal-like parts of flower not spotted with glands and summit of tubular stipule without a fringe of long bristles). 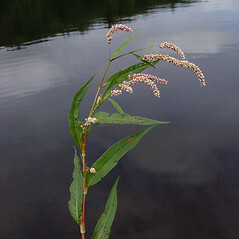 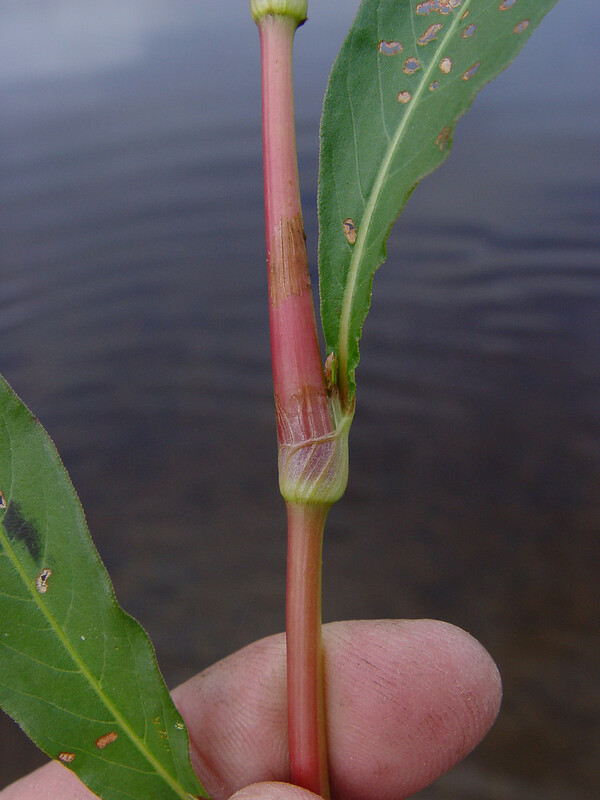 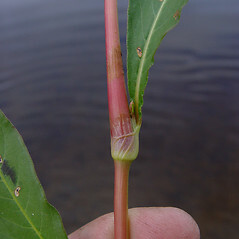 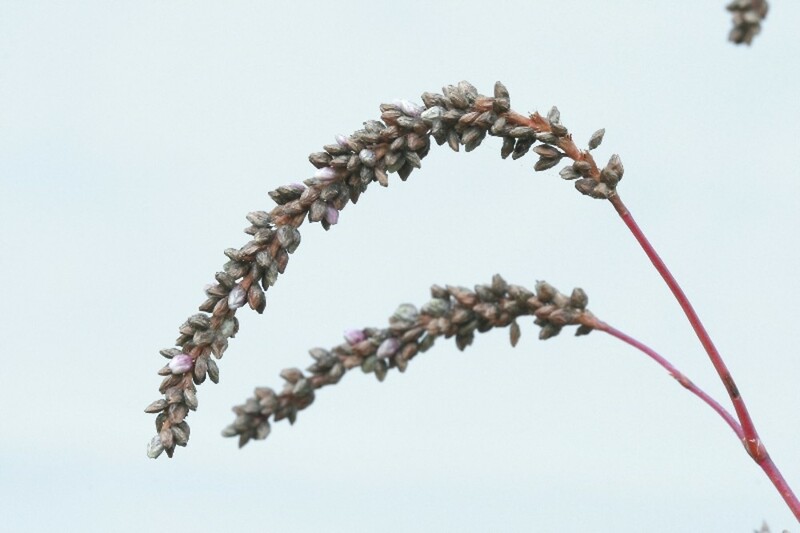 dock-leaved smartweed. 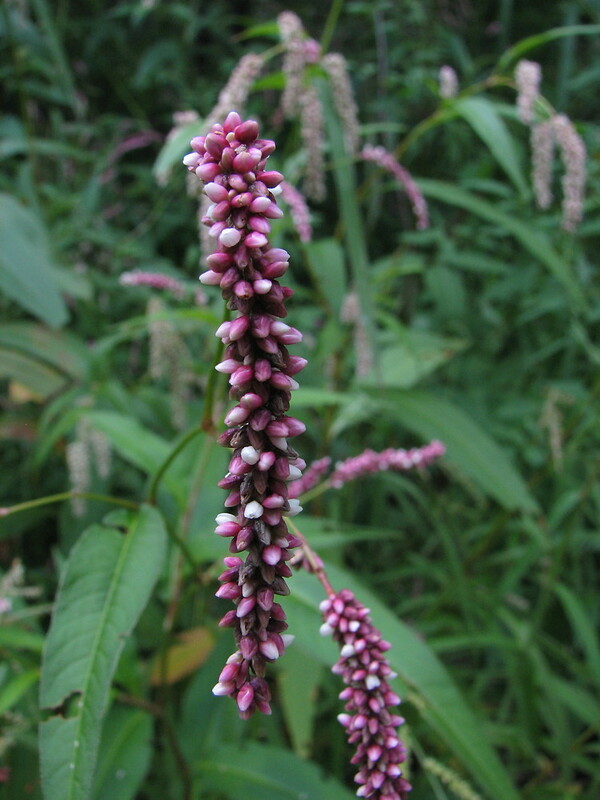 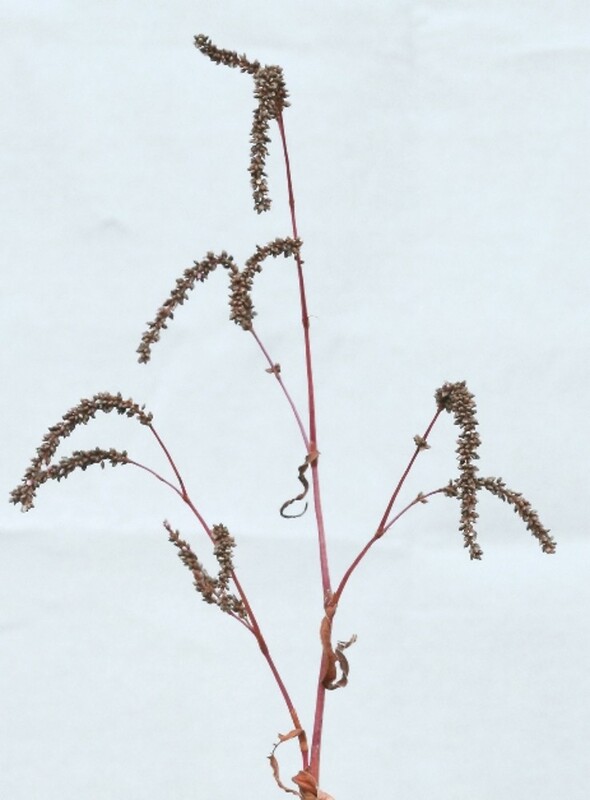 Persicaria tomentosa (Schrank) Bickn. 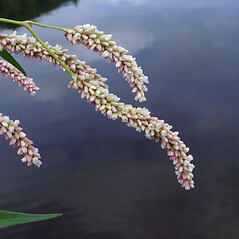 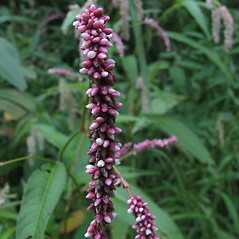 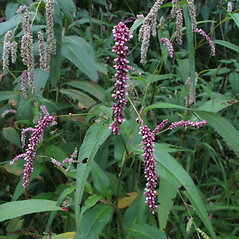 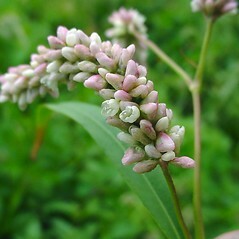 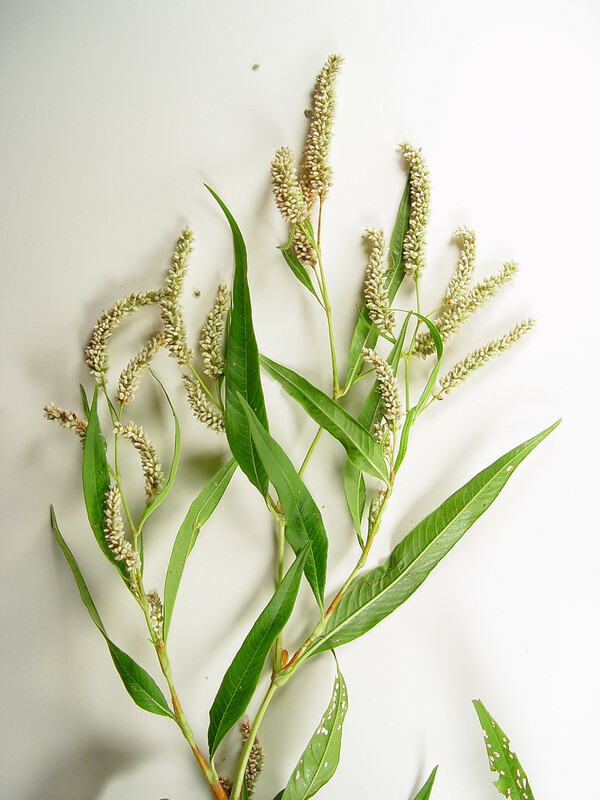 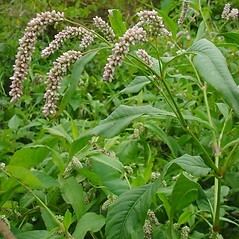 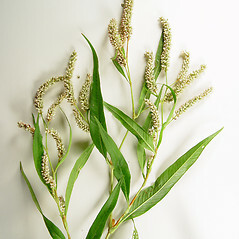 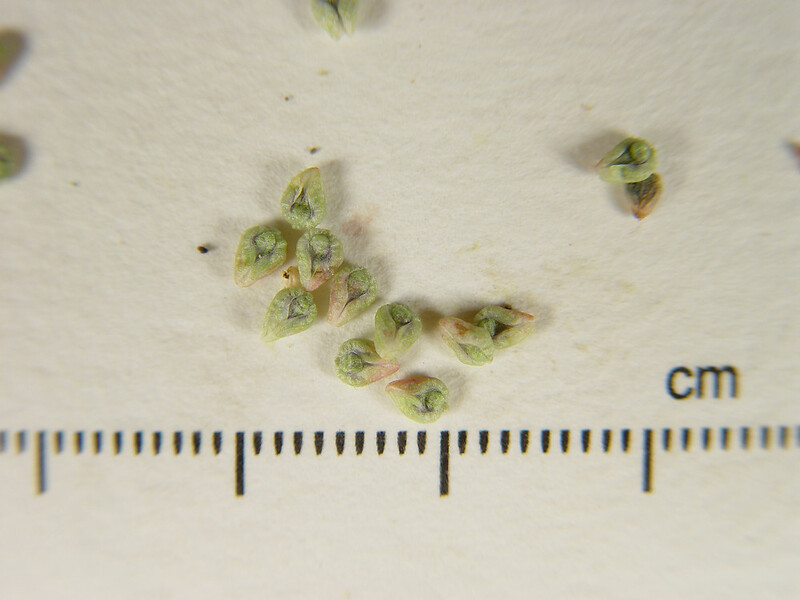 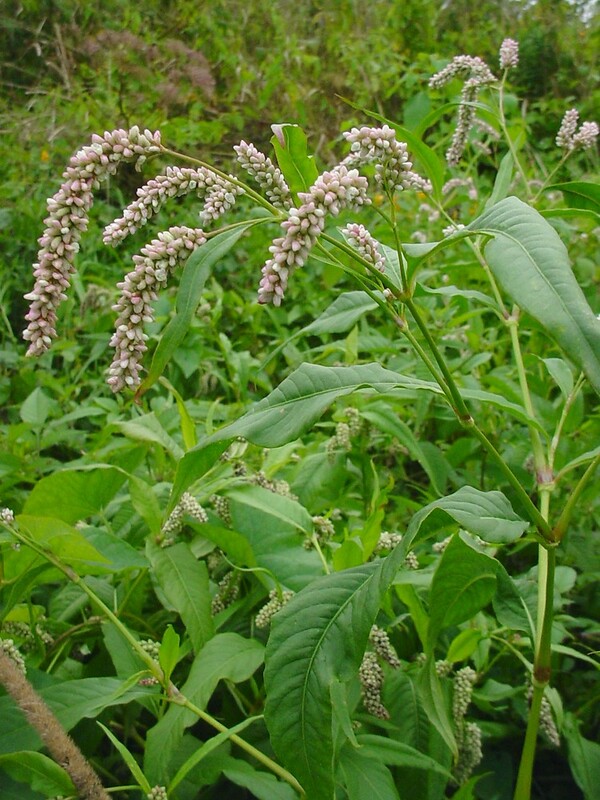 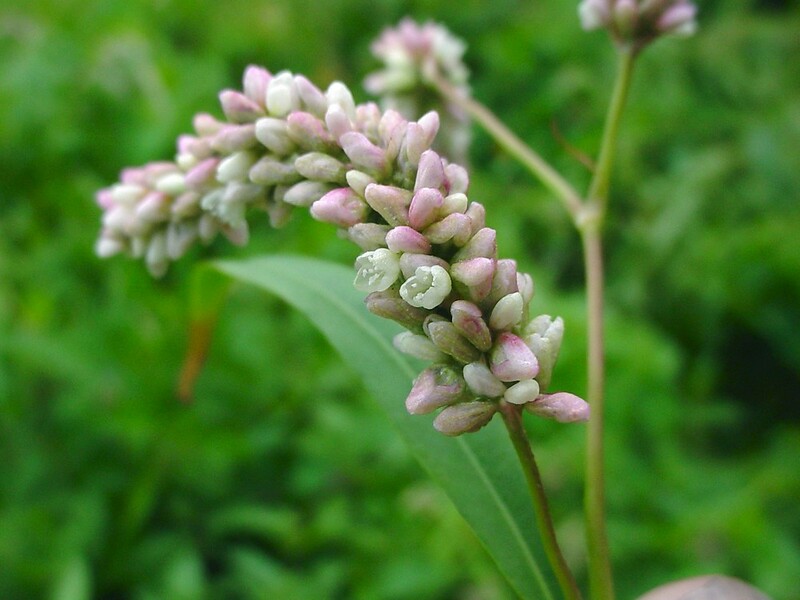 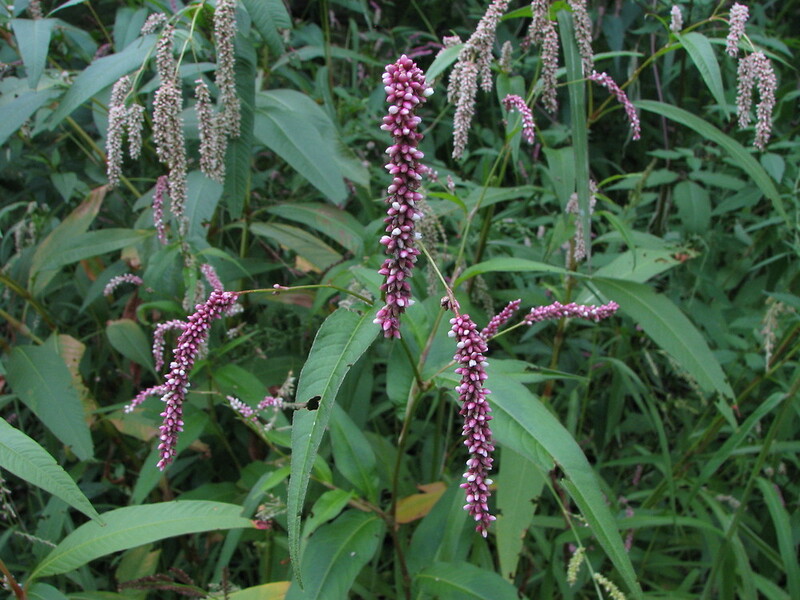 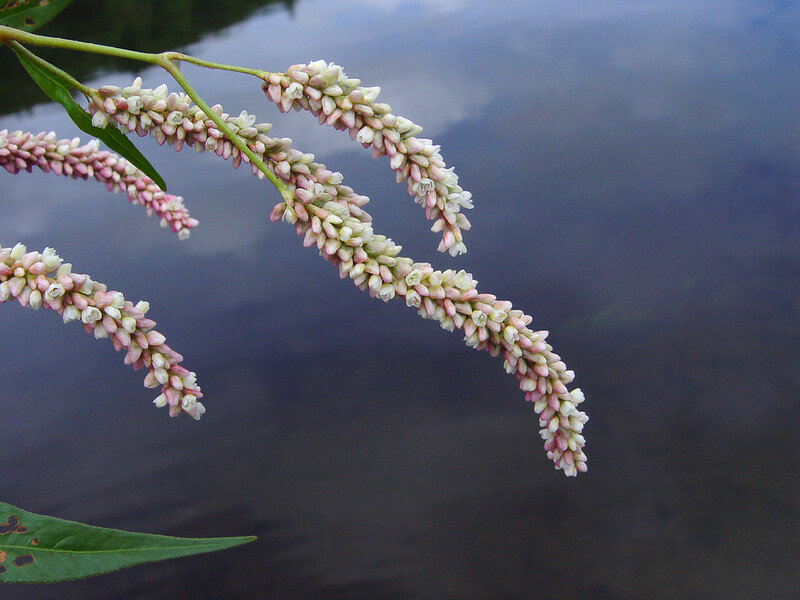 ; Polygonum lapathifolium L.; P. lapathifolium L. var. 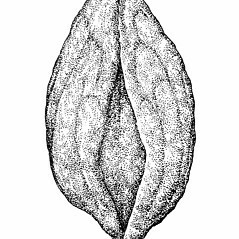 ovatum A. Braun; P. lapathifolium L. var. 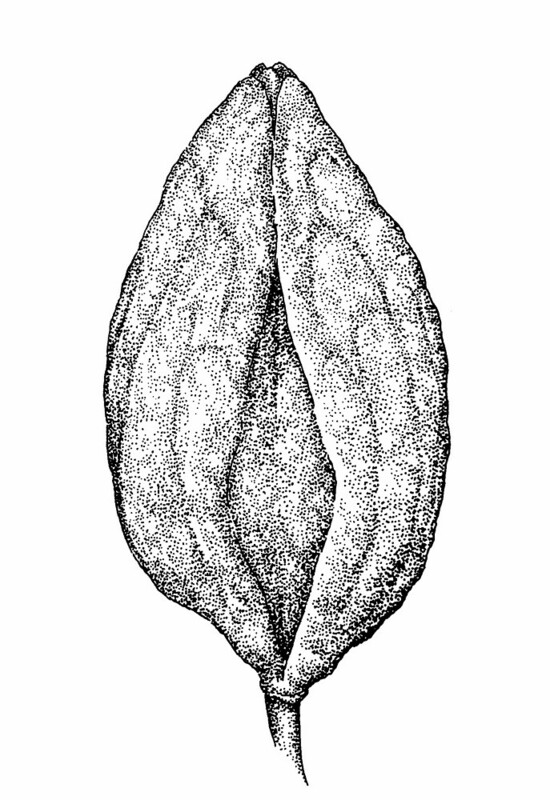 prostratum C.F.H. 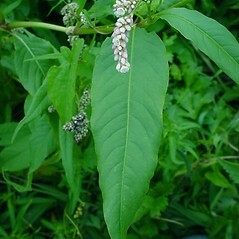 Wimmer; P. lapathifolium L. var. 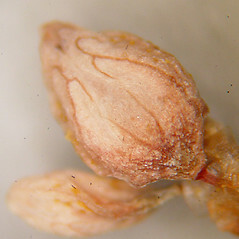 salicifolium Sibthorp; P. scabrum Moench • CT, MA, ME, NH, RI, VT. Fields, roadsides, waste areas, shorelines, ditches, swamps, river banks. 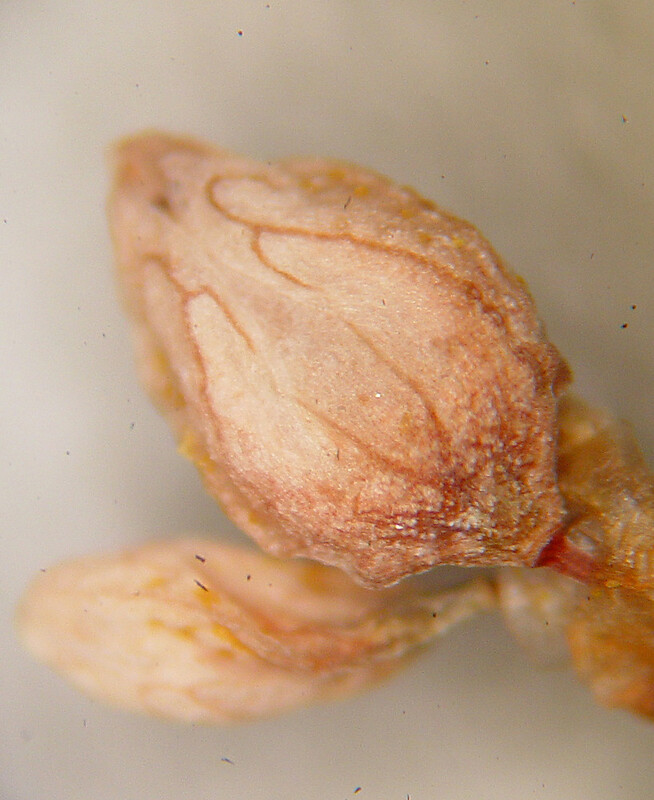 This species is a widespread diploid native to the New and Old World.